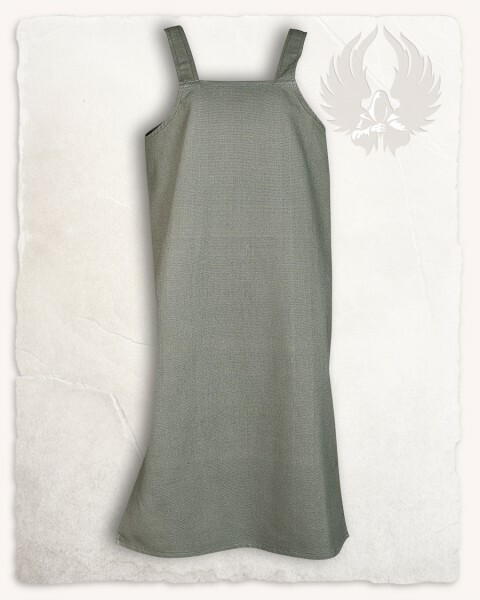 This simple apron dress is made of Canvas and has a straight cut, fashioned after historical templates. It comes in six different colors. Unlike our other apron dresses "Alva" and "Lientje", "Esther" has two cheeky slits at the sides. The dress can be nicely combined with one of our many undergarments. Using a cord or a neat belt, the waist can be emphasized and the Outfit complemented.